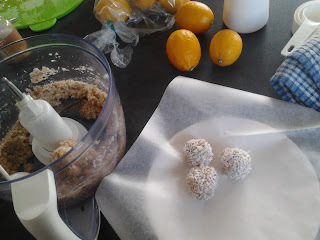 We have lots of lemons at the moment so I went searching for a recipe. I found this raw lemon and coconut truffles. They were so easy to make - put all the ingredients in the food processor and no baking. 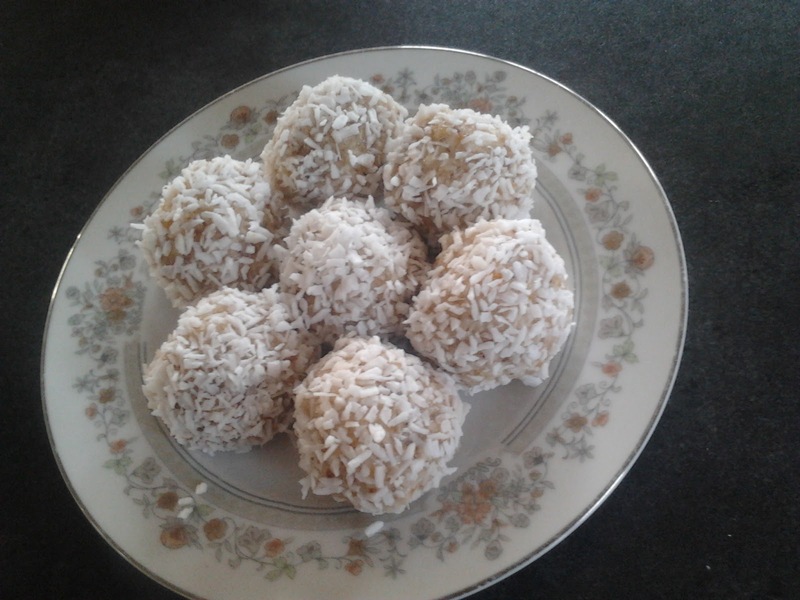 I used a table spoon measurement to make sure all the balls were the same size before rolling them in coconut. They were softer than I expected even when I put them in the freezer for a few hours so next time I may add butter rather than coconut oil. But they were delicious and there are now non left! WIN!